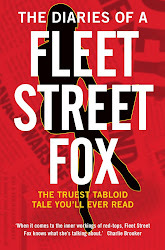 fleet street fox: Too big to jail. ANOTHER day, another round of fury about bankers acting a lot like, well, bankers. Turns out a bunch of traders at Barclays were telling porky pies about their finances in order to make more money, which is a neat trick if you can pull it off and for some reason doesn't work with my bank manager. But then, if you have an awful lot of money, you are allowed to do an awful lot more things with it than the rest of us. An investigation found Barclays traders fed false information into the system which is used to set the interest rate for banks lending to each other. The rates were lowered to make the bank look healthier, and then the traders gambled on whether the rate would go up or down and made a healthy profit. The net effect was higher mortgage payments and loan rates for us, and more cash for them. Cue the normal reactions, which include a £290million fine, calls for the boss to be sacked, the Prime Minister talking about "serious questions to answer", some low-grade grumbles about no police investigation and demands the bank be broken up. And because those are the normal reactions, nothing's going to change. That fine is equivalent to 10 days' profits for Barclays in the first quarter of this year, the boss wasn't directly involved, the police are too busy investigating journalists to have any officers spare and seeing as the bank was healthy enough not to need a bailout it won't be closed. 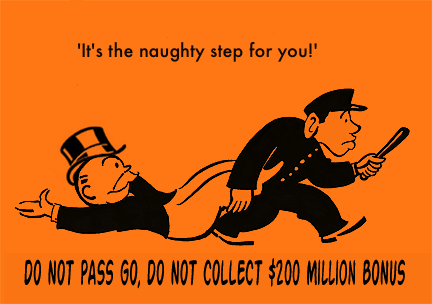 Instead that fine will get passed on to the bank's 48million customers and the boss, Bob Diamond, won't be taking his bonus this year. The chances are he wouldn't have got much of it anyway, as the share price has dropped nearly 30 per cent since March. No-one is going to stop to ask why anyone thought it was a good idea that banks should have so much influence over the lending rates. No-one is going to treat the people responsible in the same way as a benefit cheat who'd been found lying about the cash in his pocket. No-one is going to do anything except sit and wait for other banks to be found out doing the same thing. And that's the heart of the problem that seems to escalate day after day - the way in which some people are treated differently because they're rich, whether they deserve it or not. Had someone on £30,000 a year been able to shuffle their earnings through a tax-free loan from Jersey like comedian Jimmy Carr, they'd have the taxman on them quicker'n you could say "but it's all perfectly legal, honest". Had someone gone into a branch of Barclays and told bare-faced lies about the health of their finances in order to wangle some cash they could expect to be prosecuted for fraud, the penalty for which would be more than 10 days' pay and would probably involve jail. And had it been you or I so found guilty, the Prime Minister would denounce us as morally wrong in front of the first TV camera he could find. He wouldn't bother asking us any questions at all, but dismiss us as the undeserving poor. So what would happen if we started treating the undeserving rich the same way? The prison system would collapse, for a start. Seeing as the courts give six month sentences for stealing a £3.50 case of bottled water, the undeserving rich would have to spend several lifetimes in jail for tax avoidance, fiddling the books and tinkering with interest rates and we'd have to spend £38,000 a year on each of them to keep them there. Hardly ideal. As a result it would be a far more practical - and cheaper - solution to make the incredibly wealthy do community service instead. Disgraced bankers could help small businesses fill in loan applications so that they actually get accepted, and negotiate mortgage deals for first-time buyers so the housing market can be breathed back to life. Accountants who exploit every loophole in the tax code could do some unpaid work experience at the Treasury helping to close them. Each of them will take a turn in front of Jeremy Paxman to explain themselves. And afterwards they can be released on a tag and made to work on probation for the Treasury, because as they are so good finding a way to make a profit out of everything they can put that skill to good use for us rather than themselves. Perhaps that way the Ministry of Defence wouldn't find itself suddenly sitting on £6.6bn of over-ordered, unused and defunct bits of kit. Once the filthy rich have raised GDP, tax receipts, lending, and national productivity they will have answered all our most serious questions and proved that bankers can be very useful indeed - so long as there's someone keeping an eye on them and they're not allowed to rampage unsupervised around the world's financial systems like troublesome toddlers who've missed their Ritalin. No-one's too big for a spank.